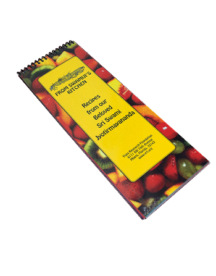 This book gives insight into the ideals of family life with practical guidance for harmony between husband and wife, parents and children, and family and society. Insight into the important questions facing young people as they strive to meet the challenges of life in the modern world. In today’s complex world, students face great challenges. This book serves as a guide for students to keep centered and balanced through self-cultivation; how to use the technological tools available today without allowing themselves to become dehumanized and over-mechanized. Advanced application of Integral Yoga in life. 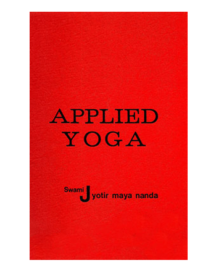 Many important selected topics handled in this book offer guidance in the understanding and application in daily life of the different aspects of Yoga. Hardbound/Cloth. From beginning to advanced, a complete course in the art of Meditation. In this no-nonsense guide, you get solid, practical lessons in proven meditative techniques to come within easy reach of any personal goal. From beginning to advanced – a complete course in itself. Hardbound/Cloth. Awaken to your Infinite Potential by integrating your personality through an artistic balance of Karma, Bhakti, Raja and Jnana Yogas – culminating in Self-realization. 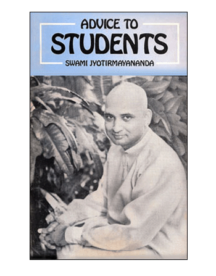 This book is an essential guide for all sincere spiritual seekers. 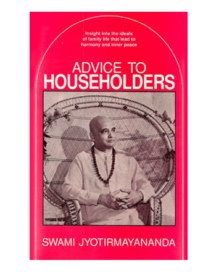 A compilation of Swami Jyotirmayananda’s Sunday afternoon talks at Miami’s Theosophical Society. Topics include: The control of the mind; How to solve problems; Where is happiness? ; The path of love; Who am I? A bouquet of colorful stories, joyous humor and profound insights that will guide you to the unfoldment of sublime feeling within your heart. 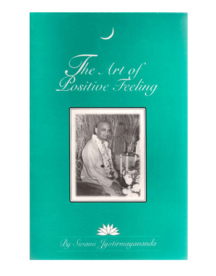 A rare book detailing the five enemies of the soul (anger, hatred, greed, etc…), which prevent one from actualizing one’s true potentiality – Self-realization. Practical and powerful means to overcome these afflictions are presented. There is no power in this universe that excels the intrinsic power of the mind. Thoughts shape one’s destiny and comprise the underlying causality of all the significant developments of humanity. While negative thoughts are the source of all that is evil in the world, positive thoughts are the source of all that is true, good, and beautiful. 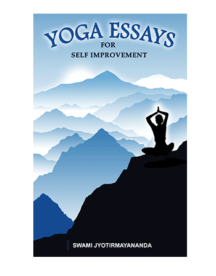 In this book, Swami Jyotirmayananda presents in clear language, the fundamentals of Yoga as they pertain to exercising positivity in order to live a life of health and happiness. 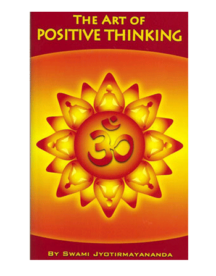 Through the application of one-pointed concentration on all that is positive in the world, one’s mind is able to eradicate vices and cultivate virtues, leading one to the heights of greatness – materially and spiritually. Befriend even one of these four… and the gates to Enlightenment will open for you! 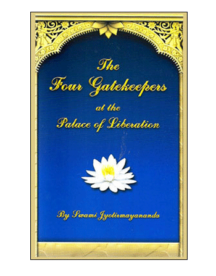 Allegorically speaking, there are four gates to the Palace of Liberation, flanked by four gatekeepers – serenity, contentment, good association and spiritual enquiry. If one were to embrace any one of these, then “All else will be added unto you.” This booklet says it all in a nutshell. 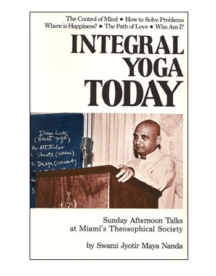 Over 40 articles of practical guidance in applying Integral Yoga to your daily life. The title speaks for itself! How to Unfold Your Talents, Guidance in Meditation, What Is The Purpose of Life, How to Think Positively, How to Remove Conflicts in Life, How to Practice Adaptability, How to Enrich Your Life… and more! 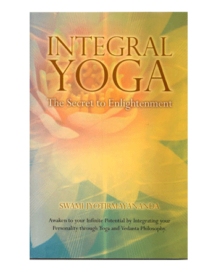 Discover a better life through Integral Yoga. 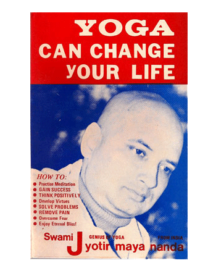 insightful writings in the light of Yoga and Vedanta philosophy that allows an individual to enrich one’s understanding to successfully navigate the road of life. 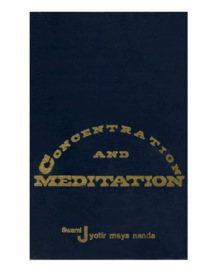 In this book, Swami Jyotirmayananda articulately addresses commonplace questions such as “How to Remove Anxiety” or “How to Develop Compassion” that often assail the mind of an individual seeking to achieve greater harmony and meaning in the fast pace of the modern world.